For my overseas customers this change will save on shipping and lead time as IngramSpark has printing facilities where you are as well as in the States. Thanks for your patience. Standardbred Sport Horses needed to be written because the sport horse breeder is unaware of the huge genetic potential that is found in the Standardbred (and our other domestic sport breeds) for our use and benefit. It is important to rekindle pride in our domestic breeders by discovering that we are continuing a unbroken sport horse breeding tradition that began in 1611 in our colonies. North America, from the moment of its first settlements bred the finest sport horses in the world. If that statement puzzles you then you need to read this book. 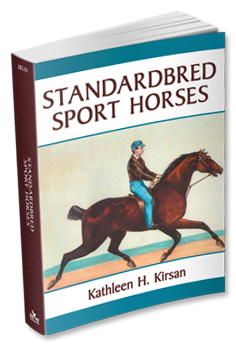 Standardbred Sport Horses is my third book and it continues all the themes covered in the first two and enlarges them. It has taken decades of study, database building, research, writing, and breeding to arrive at this book. And it is meant as a record and a reference of our North American sport horse heritage, and the resultant bloodlines that power modern sport. It is my strong belief that the North American breeder needs to understand where equine sport ability arises from and to understand our own equine breeding legacy, in order to become aware of the fantastic resource that is right in front of us--unrecognized and therefore underutilized, so that we can meet and exceed the breeding challenges of our day. 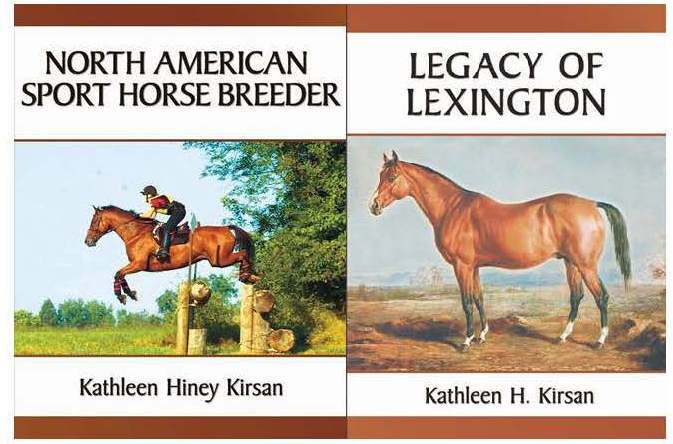 These books are non-fiction works designed as references for the Olympic style sport horse breeder, but are relevant also for the racehorse, western or pleasure horse breeder--the breeding principles for successful breeding are the same, no matter the breed of horse or the discipline. North American Sport Horse Breeder provides step by step instructions in applying Tesio Methods in our breeding designs with 35 in depth analysis of individual horses, and is suitable for the beginner in pedigree design. * history of sport horse breeding in North America and the development of the new international sport horse. *In depth pedigree analysis and discussion is provided for thirty-five individual sport horses; some famous, some foundation horses, others are owned by regular competitors, with the horses drawn from a variety of American and foreign breeds--each example providing background information on its breed's sport potential. * appendices with additional useful information including the American Thoroughbred's suitability for Olympic style sport, which Thoroughbreds are stamina lines, an outline and short biography of key foundation sires, the power found in full siblings is demonstrated with historical examples from the Morgan, Hanoverian and Thoroughbred, a discussion of American foundation sires, a timeline of American sport horse development and an example of a intense pedigree verification carried out by John Wallace. This book will document the development of the unique American Thoroughbred, and explain why it is different from every other Thoroughbred population in the world. It will point out the important hereditary transmitters of sport ability and how to incorporate these lines into the sport horse for its improvement. This book is more difficult for a beginner and it is recommended for the person who has some understanding of relevant bloodlines and pedigree design.